EduClasses® is pleased to offer businesses, organizations, and governmental departments the opportunity to provide professional quality food manager safety classes to individuals working in the food industry. The food manager safety classes offered by EduClasses provide instruction on the proper processes and procedures involved in food protection. FMC, FoodManagerClasses.com, has been recognized and approved by the Texas Department of State Health Services. We believe professional training in an easy-to-use, standardized format will increase both the quality and production of food and food-related establishments while ensuring a safe and healthy environment for employees and patrons. Utilizing our web-based service in your business, organization, or governmental department will help to ensure "best practices" by providing a reliable standard of food manager training for those employed in the field. Offering a food safety course like the ones available from EduClasses® not only benefits your employees and your organization, but demonstrates your commitment to the health and safety of our citizens and communities. 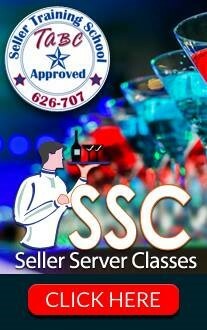 EduClasses® offers a unique bulk order system through FoodManagerClasses.com that allows government agencies, organizations, restaurant owners and food managers the ability to purchase groups of food manager certification courses for their employees who require food protection training. The bulk order system also allows the purchaser to view who has redeemed their course. 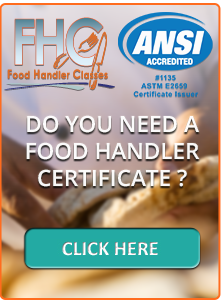 Thank you for considering FoodManagerClasses.com and EduClasses® as your training solution. By joining us in this effort, you are not only providing a much-needed forum for training in a key industry, but we believe you’ll experience an increase in both the productivity and food manager student satisfaction rating of your organization.